 Egged on by an ambitious journalist, a grieving brother searches for the truth about his late sister--a murder victim and perhaps a murderer too. Convicted killer A. J. Tunney, a former realtor, insists that his lover, Gloria, was present when he strangled three women in an unoccupied house he was supposed to be selling. 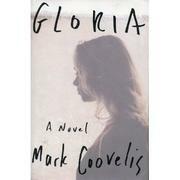 Tormented by Tunney's accusations, Gloria's brother, Marvin Stone, owner of a Berkeley tavern, spends months talking to, and sleeping with, Lauren Ogilvie, who's determined to make a name for herself by telling Gloria's side of the story. As Stone already suspects, though, there's no such thing as Gloria's side, because Gloria herself is a will-o'-the-wisp, a woman who was born Elizabeth Stone before transforming herself into Sissy, Betty, Liz, and Lisbeth, and who began running away from her husband and son even before her last rebirth as Gloria. Why did she keep running off, and why does Stone feel so guilty for letting her go the last time he found her? What finally happened to Gloria--and to Elizabeth? And how, in the end, can Stone come to know her? Talented first-novelist Coovelis raises these conventional questions and then slowly, disquietingly drifts away from the suspense formula into echoes of Faulkner and Nabokov. Eventually the gaps, the unanswered questions in Stone's narrative, become more fascinating than the modish revelations turned up by the final curtain. Spare and febrile, this canny debut can't resist the lure of the middlebrow clichÇs it eventually skewers.